Century-old diocesan high school renews its mission by focusing on Catholic identity and liberal arts curriculum. Under the leadership of President-Rector Rev. 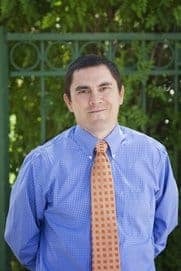 Robert Bolding, Saint Mary’s Catholic High School has transformed its culture over the course of eight years with a clear-eyed focus on two core principles: truth and love. The school’s concise mission statement is an elegant summary of authentic Catholic education: to provide a liberal arts education that forms virtuous young men and women who know the Truth and love the Good. In order to embody this mission, Saint Mary’s went beyond platitudes and took a serious look at what this means in practice. This serious commitment to truth and love has turned out to be a magnet for families who seek sound formation for their children. During the economic downturn, enrollment at this socially and ethnically diverse, co-ed diocesan high school had dropped significantly. Today, enrollment at Arizona’s oldest Catholic high school has risen 15 percent, to near-capacity, with 574 students. 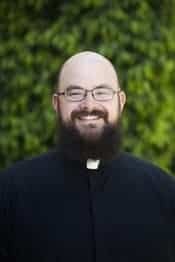 According to James Atkinson, Assistant Principal of Curriculum and Instruction, when Fr. Bolding first arrived as Chaplain, he began to reform the Catholic and moral environment. Now, masses are offered twice daily, the Sacrament of Confession is available every day at lunch, and Theology is emphasized as a serious academic discipline. In addition to Mr. Atkinson, the school also has an Assistant Principal of Formation who focuses specifically on student formation in virtue. Father’s next step was to revamp the academic program, adopting a traditional liberal arts approach ordered more intentionally to the pursuit of truth. 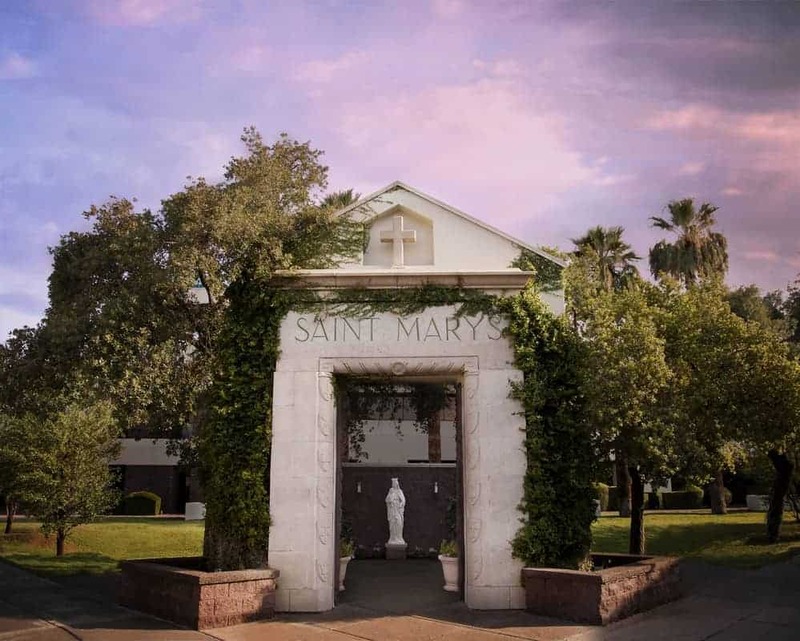 Under the direction of then-Dean of Academics, Rob Drapeau, Saint Mary’s introduced its “Seat of Wisdom Integrated Studies Program” four years ago, first as an optional track and then as a requirement. The program combines the study of history and literature in a seminar-style class that meets over a two-period block. Close reading and discussion of primary and secondary sources allow students to think critically about the great ideas of Western Civilization and the Catholic intellectual tradition. One of Fr. Bolding’s favorite aphorisms is “A school is its faculty.” He and his administrative team understood that hiring for mission was critical in transforming a school. Believing that practical teacher training is easier to supply than the philosophical and theological background necessary to fully understand the school’s mission, Father sought diocesan permission to hire teachers who may not have had formal teacher training, but who nevertheless understood the school’s vision and philosophy. These teachers procure a substitute teaching certificate from the state and then agree to take graduate courses in Education through a Catholic university with which the school has a partnership. Saint Mary’s sponsors teachers in the program until they can be certified. Those who wish to can complete a Master’s degree in Education by taking a few additional courses. “The key thing is getting teachers who love the faith, love the intellectual life, and want to communicate that to others,” Atkinson said. “Over time, we have been able to foster this in our faculty and, in turn, our students.” He added that it is “a beautiful thing” to see the change from the time ninth graders enter the school to the time they graduate: many arrive meek and shy, thinking they are not excited to learn, but by the time they are seniors, they have “found their dignity.” They confidently read and discuss great authors such as St. Thomas Aquinas. They are more proactive in their studies. They engage great texts and ideas. Saint Mary’s liberal arts approach places great emphasis on writing and speaking well. Studies in grammar, speech, logic, and rhetoric are fundamental to the Seat of Wisdom program. 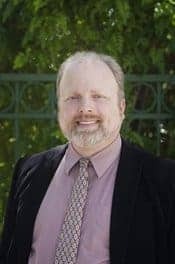 The point of teaching logic and rhetoric, Thurow said, is to teach students patterns of thought that will help them analyze what they hear and make arguments themselves. Though some of the technical terms can make the course seem arcane and highly academic, Thurow helps student stay focused on the end goal: wrapping their minds around an argument so they can see how it works. Tenth graders are concrete thinkers, he added. He gets them out of their seats, putting things into action on the board, assessing valid and invalid arguments, analyzing syllogisms and enthymemes. Memorization and delivery of poetry and speeches, often tied to accompanying studies in history and literature, are another key component of Saint Mary’s new approach. Thurow said that memorization has become quite popular: snippets of the great orations can be heard as students walk around campus. They are learning to love what is true and beautiful. Saint Mary’s Catholic High School is not resting on its laurels, but always seeking to go further in this renewal. According to Atkinson, the school next hopes to hone its math, science, and fine arts courses. None of the changes have presented problems with meeting existing educational standards.